For over two decades, Bangert Piano Service has focused on providing full service, high quality work on all pianos in Anne Arundel county and the greater Baltimore area. 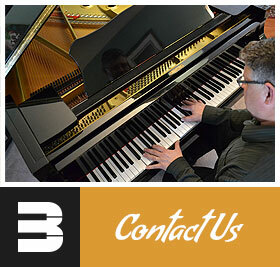 As a full time piano technician who offers action regulation, as well as piano rebuilding services, Bangert Piano Service has developed a thorough knowledge of piano parts and functions through experience and ongoing continuing education to successfully diagnose and implement corrective procedures for the many issues pertaining to piano maintenance and repair. Bangert Piano upholds and applies the rigorous standards set forth by the Piano Technicians Guild and has earned the title of Registered Piano Technician (RPT). To become an RPT, one must pass a series of three extensive tests. The first evaluates ones knowledge and understanding of piano design, tuning theory, repair techniques, and other topics pertaining to piano technology. The second test evaluates ones ability to accurately complete many repairs, as well as to be able to assemble and regulate both vertical and grand piano actions, in a timely and professional manner. In the third test, the tuning exam, the candidate must tune a piano that has been ” master tuned” and then detuned by a panel of tuning experts. The results are then measured using sensitive electronics to reveal any deviations from the established master tuning. In addition, Rob adheres to the principles and methods learned having received training from the Steinway factory in 1995, as well as the Yamaha Little Red Schoolhouse during the same year. Together with plentiful years of experience dealing with cloth, felt, piano wire, wood and other materials found in pianos, the knowledge and expertise of Bangert Piano is prepared to service all makes and models of pianos. Rob Bangert began learning to play the piano when he was 13 years old. Auditioning for and being accepted into Towson University’s (formerly Towson State University) piano performance program took his playing to the next level, where he studied under world-renowned concert pianist Reynaldo Reyes. When a former student of Mr. Reyes called to inquire of recommendations for a summer internship in a piano rebuilding shop, Rob was endorsed by Mr. Reyes and immediately accepted the position. This initial position whet Robs appetite for the trade and upon graduation from Towson, he completed the lesson offered by the American School of Piano Tuning while also enlisting the help of various piano technicians in the area to hone his skills. Rob was introduced to the Piano Technicians Guild (PTG), and found a well-versed source of like - minded individuals who helped him excel at the craft of piano technology. The associations through the PTG ultimately led to positions working in other piano shops and for various piano dealerships before establishing the his own full time piano service, Bangert Piano. In 1992, Rob passed all of the exams offered by the PTG to receive the designation of a Registered Piano Technician (RPT). Since that time, he’s continued to grow and expand upon his knowledge of the piano through ongoing self-study, continuing education and training, and attendance at regional and national conferences and conventions. 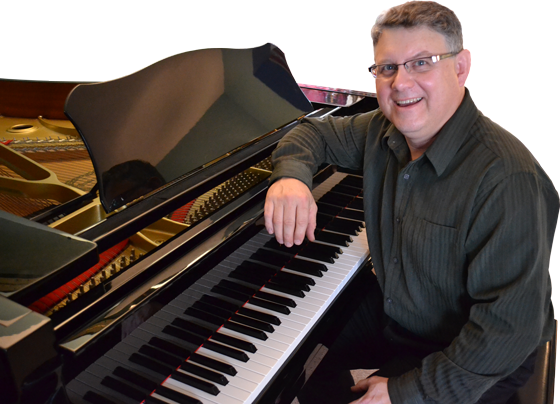 Rob enjoys servicing pianos for a large clientele, primarily in Anne Arundel County, Baltimore, and Annapolis including churches, schools, piano teachers, and individual musicians. In addition to providing piano services for many professional classical and jazz musicians’ personal instruments, he also tunes for the Anne Arundel Community Concert Association and PAAL (The Performing Arts Association of Linthicum), which brings many high-level performers to northern Anne Arundel County.